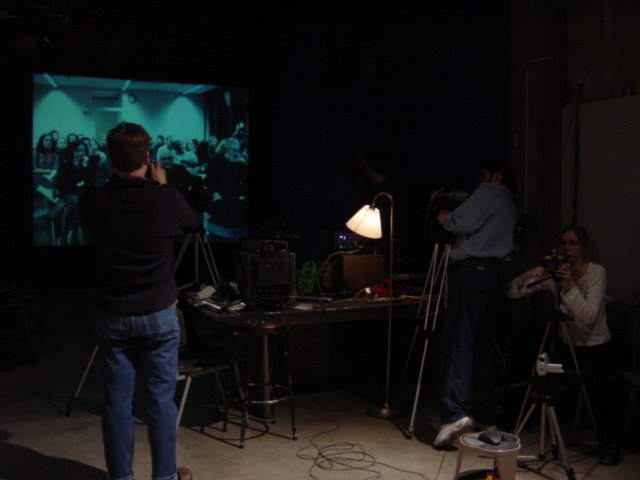 This is an experimental user interface I built for the Mediated Trace Structures video conference in 2001. Art faculty and students from the University of Iowa, Oregon, Oklahoma, and Dortmund, Germany each created media objects to present via this Internet2 event. We were very loosely exploring the concept of the Derridian “trace” and how media structures might be undone and deconstructed. Video conferencing was still quite new at this time. Built in Macromedia Director, the digital installation was a surrealistic yet manageable interactive device for navigating the theoretical writings incorporated into the conference. It utilized various graphic designs and drawings as new ways to unlock and access the work.